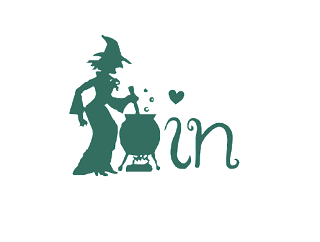 In the hopes of encouraging the sun to shine for longer than 5 minutes, Lin would like to see something relating to the summer fun, so that might be holiday related, or something in the garden, basically something you might do outdoors when the sun is shining that's fun, clean and legal!! 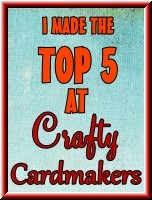 Please ensure your card meets the required element to qualify for a winner or Top 5 slot. Hello! My name is Krista Smith. I draw characters and do a lot of crafting:). I gather a lot of inspiration from my two kiddos...they are sweet and goofy. I love to see how other people color my images...It is always exciting to watch the colors bring them to life! 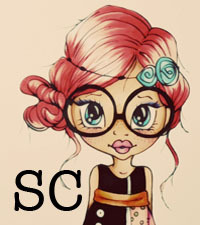 You can check out my artwork and family tidbits on my blog, Saturated Canary. Thanks for having me this challenge! Good luck everyone! My image is from one of our sponsor's, Saturated Canary, called Smokin' Hot, and she is coloured with my promarkers. She definitely looks like she has had fun in the sun. 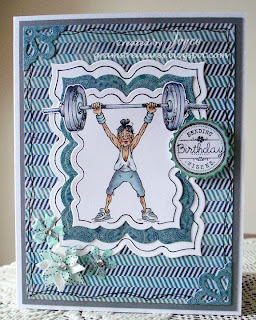 I used a stamped image and some bright papers for layering on this card. I think they look like they are having fun in the sun. When I saw this image from our Sponsor, Saturated Canary, it reminded me so much of my elder son and my daughter, that I had to use it! I added the speech bubble in Photoshop Elements and coloured with Promarkers. My Image is 'Toes in the Sand' by our sponsor Saturated Canary, coloured with Promarkers. The Surfboard was a clipart download that I have merged with Clipart Flowers and Palm Trees. 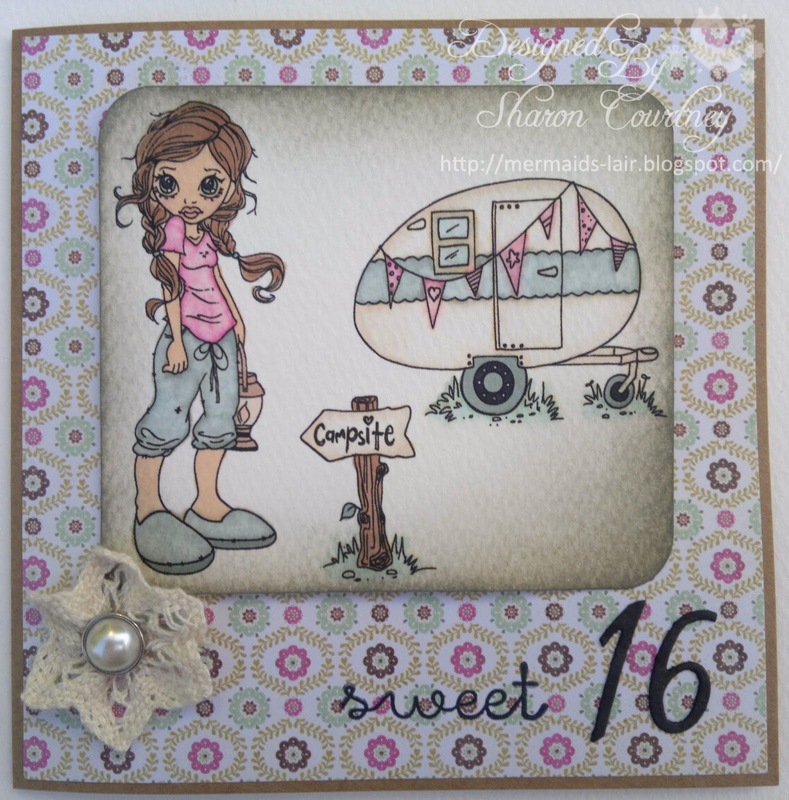 I too have used an image by Saturated Canary, the signpost and vintage caravan are part of the "Winnie Goes Camping" image. 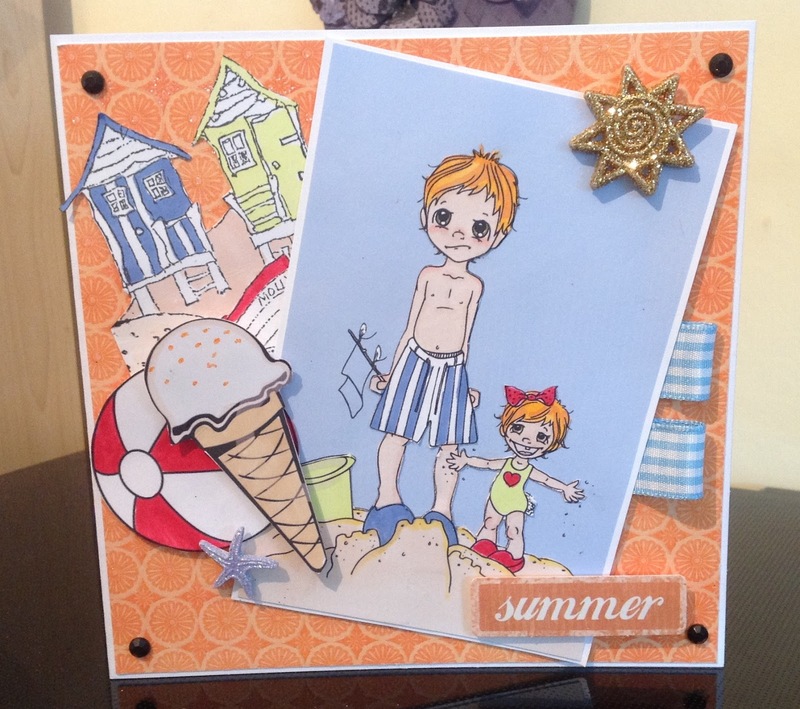 Coloured with Promarkers and framed up using a Spellbinders die and various DPs. The grass is a piece of sheer ribbon and I added some stitching for detail. Summer for me means our annual camping holiday!! So I have used "Camping" from our sponsors Saturated Canary - coloured with Promarkers. Various card scraps from my box were used for matting/layering etc. 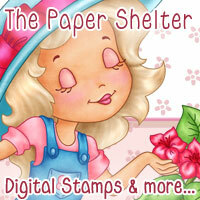 For my card I have used two digi stamps from Pollycraft which I have coloured with my ProMarkers. 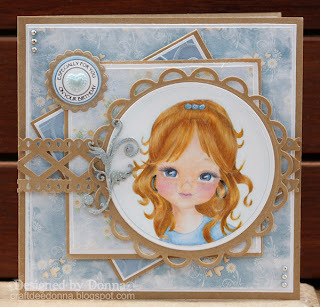 The papers that I have used are from Dovecraft Back to Basics III and Craftwork Card "Macaroon" pack. I have added lots of Stickles, some pink gems and some tiny buttons as embellishments. 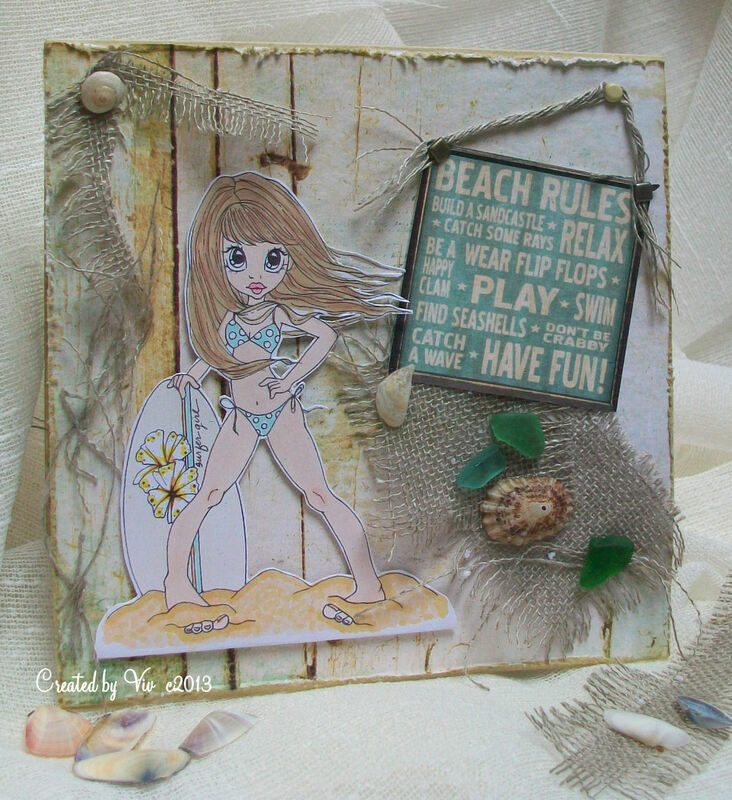 Saturated Canary's 'Toes in the Sand' image coloured with promarkers, lots of hessian/jute, shells and authentic sea glass on a driftwood type background. Have co-ordinated the inside but you'll need to visit my blog to see! 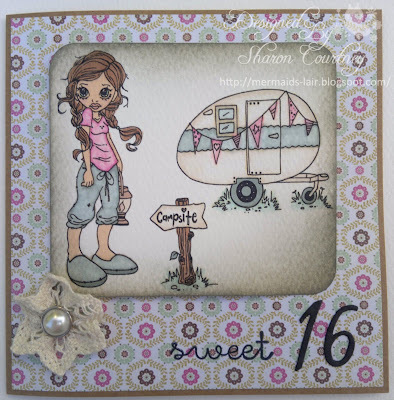 I have used the 'Winnie Goes Camping' image from our fab sponsor Saturated Canary, coloured with ProMarkers and edges distressed with Pumice Stone and Iced Spruce Distress Inks. 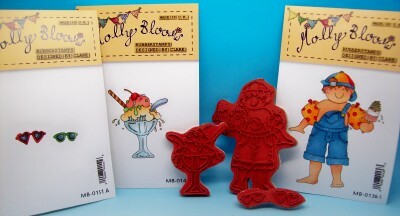 The backing paper is from MME's Quite Contrary paper pad. I gathered some cotton lace to make the flower, added a brad, stamped 'sweet' and die cut the '16'. A perfect card for my niece - their family caravan is kept at a campsite in a nearby village and they quite often stay there at weekends during the summer season for fun in the sun (or rain!!). 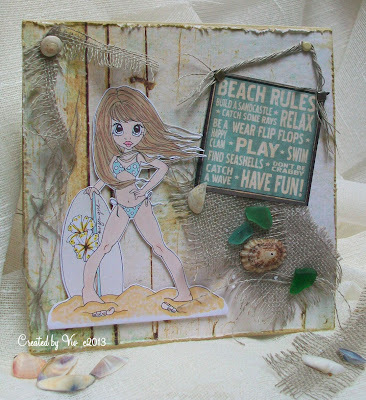 I have used a mix of stamped and digital images for this card, including one from our sponsor Saturated Canary to make this beach themed card. 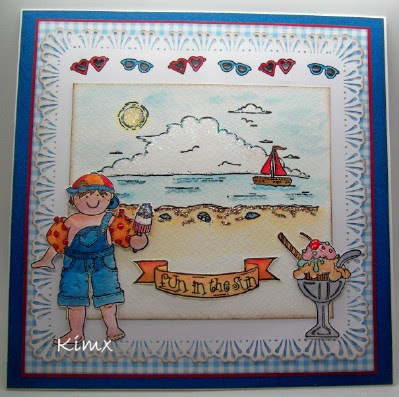 I have used Molly Blooms stamps provided by our lovely sponsors SirStampalot for my 'Fun in the Sun' card. I have chosen a sponsor image from Saturated Canary, titled "To the Lake". 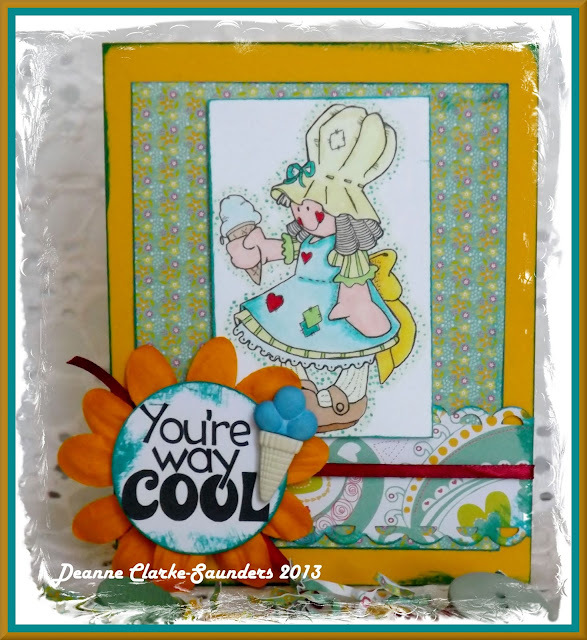 I coloured her with Copic markers, then used an EK Success corner punch to make a 'frame' to mat her. My sentiment is from CTMH, as is the ink it is stamped with. 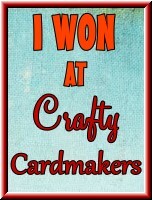 The winners have until 1st September to claim their prize, after which time I am afraid the prizes will be forfeit. As we choose our winners, rather than having a random number thingy to pick them it's too difficult and time consuming to go back again and go through the entries to pick out new winners. Neither, sadly do we have time to chase the winners up.